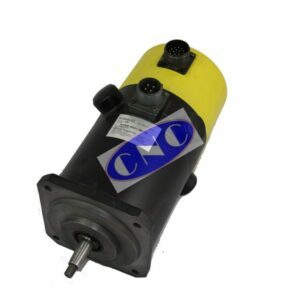 CNC West offer extensive range of FANUC DC servo motor. The groups stocks of FANUC DC axis motors include series 00M A06B-0632, 0M A06B-0641, 5M A06B-0642, 10M A06B-0651, 20M A06B-0652, 30M A06B-0653. We no longer support black cap DC motors, or Getty DC servo motors. The FANUC DC servo motors that we do support carry a 12 month warranty when repaired, supplied as exchange or as outright (stock permitting).